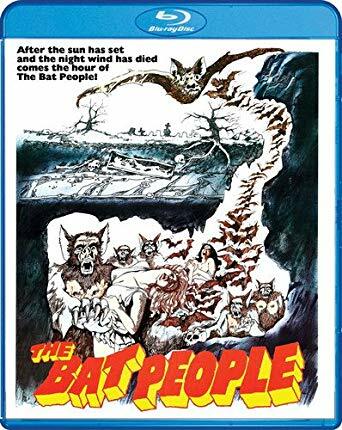 The horror movie The Bat People makes the idea of a human turning into a monster surprisingly boring. This entry was posted on November 28, 2018, 8:34 pm and is filed under New Reviews. You can follow any responses to this entry through RSS 2.0. You can leave a response, or trackback from your own site. I’m sure I’ve seen this but barely have a flicker of memory of the contents…which I guess supports your take on it, alas! There is only one transformation, though, right? Of course “The Bat Person” sounds stupid and they could hardly have called it “The Bat Man”, so I guess you can forgive the lie. They do hint at a second bat person, so technically it’s not a lie, but it’s at the very end and there’s no transformation, so it’s really stretching it. And frankly I’m surprised I remember that much. Just one Bat Person in The Bat People? It Lives by Night is the superior title all around, then, isn’t it?